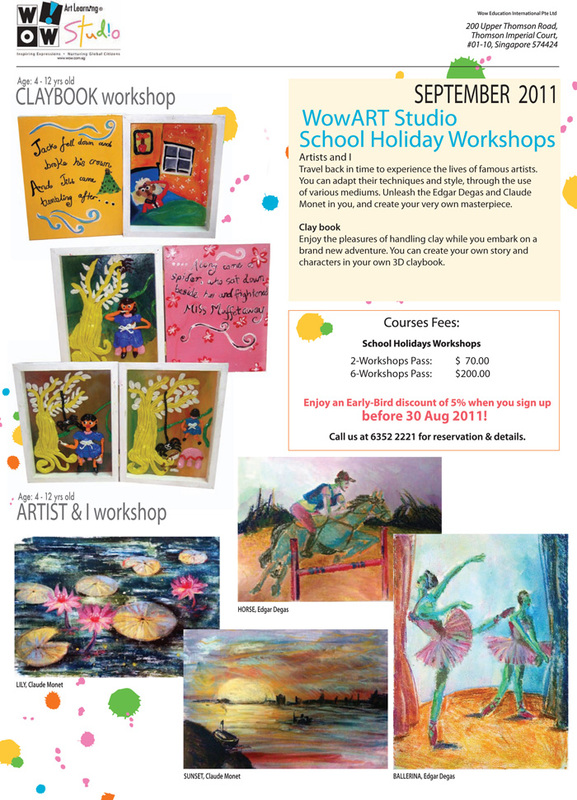 All kids look forward to holidays like us adults unless if like me you have kids of your own, then a holiday isn't really a holiday, you have to plan activities for your kids to do :p Well, I have a great suggestion for you and your kids this school holiday, join the WowART Studio Holiday Workshops! The workshops run from September 5-9 2011 and are for children aged 2.5years till 12years. Dylan was just 2.5years when he started and no, he was not too young. The holiday workshop for under 4years is specially designed for the younger children and has a wide variety of medium and artworks for them to choose from. Clay modeling to wire sculptures and yarn painting, their little hands will be filled as they enjoy the process of creating their own art! For the older children, they have two main workshops to choose from - Artist & I and Claybook. Artist & I is a canvas workshop where 2 impressionist artists Claude Monet and Edgar Degas are introduced. The Claybook workshop allows children to unleash the writer in them as they enjoy the pleasures of handling clay. They create their own stories and make the characters from clay. This 3 day workshop is sure to keep the child entertained and allows room for them to be creative. Each lesson is 2.5hours and I would recommend this workshop if you have the time. 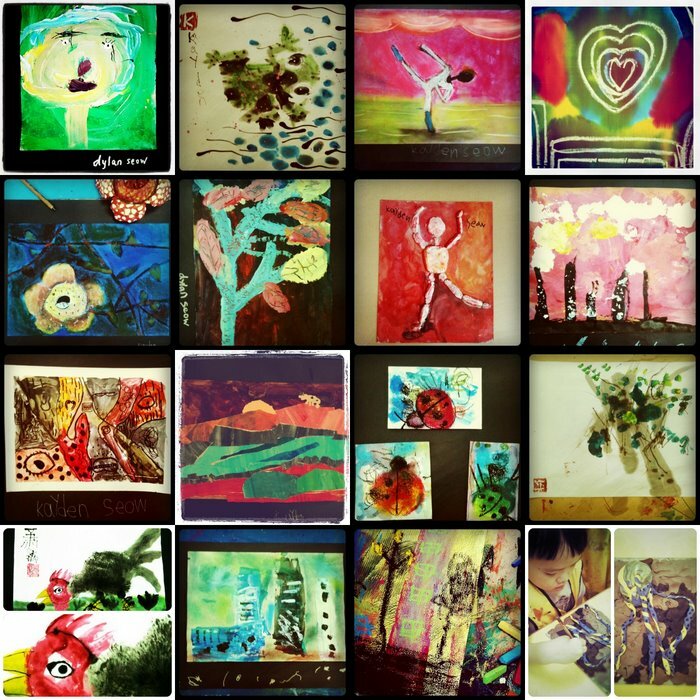 I'm wowed by your kids' art pieces! This sounds like a good place for my tot to learn and play with art. Thanks for sharing!